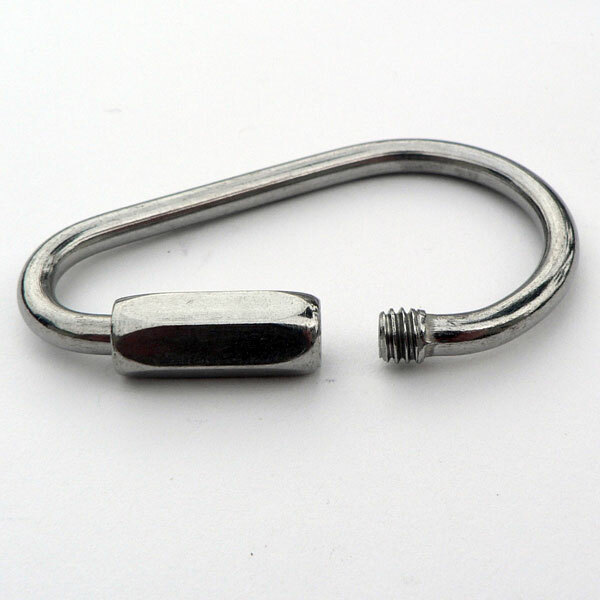 The Stainless steel pear shaped quick link has endless applications! The wide end will accommodate 1" webbing, multiple ends of chain or multiple rings. 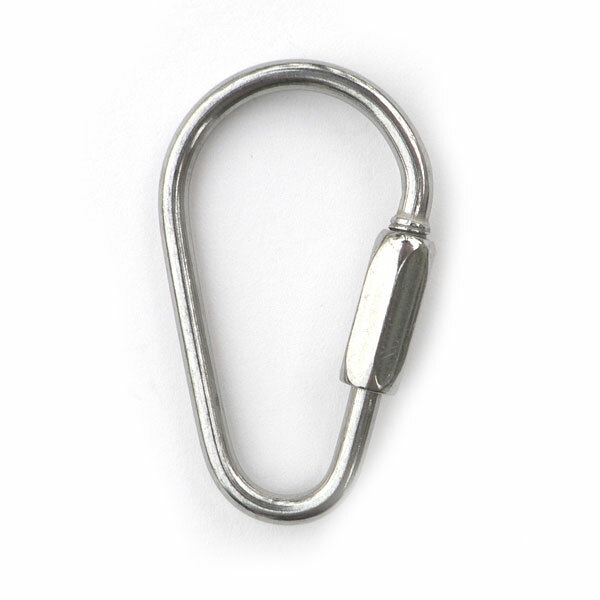 The narrow end is ideal for attaching to the eye of clips or a single ring or chain link. The pear link can be easily attached to straps and belts and provide a strong attachment point for gear. 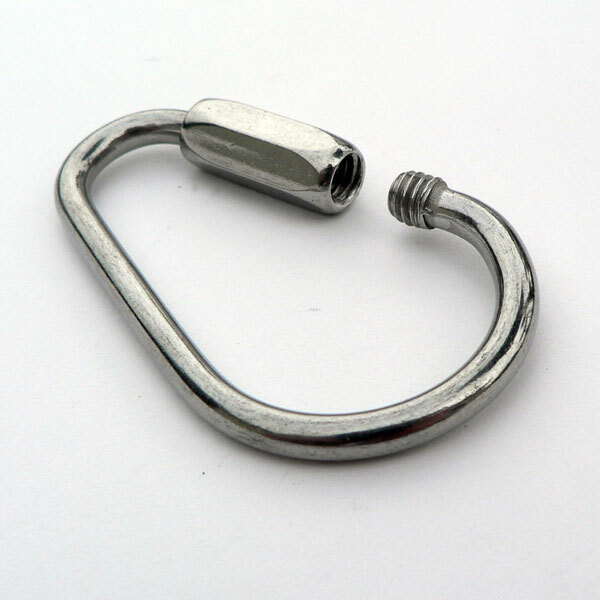 The three legs of a chain pot hanger will attach to the wide end of the pear link and it in turn can be hung on a hook or attached to a closed ring by itself or via a clip attached to the pear link.